The Terrace Lounge with its floor to ceiling windows has its own large deck overlooking the golf course and hinterland. It boasts its own bar area and split level dining/dancing. With a capacity of 110 guests, it is the ideal place to enjoy a fabulous meal and then dance the night away. The Palmer Colonial offers you a variety of packages starting from $89.00pp and range from basic packages to an all inclusive package including a drinks package, Disc Jockey, decorations and 1 nights accommodation. 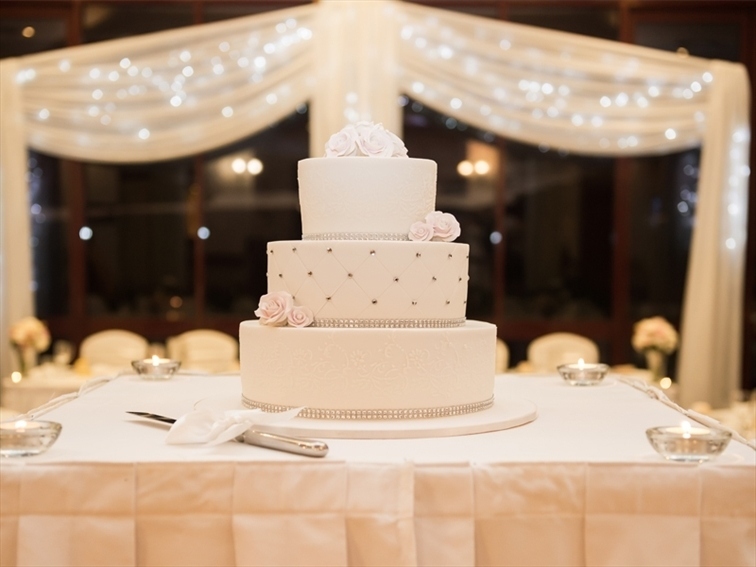 We also cater for lunchtime wedding receptions and can tailor our packages to suit your needs and budget. 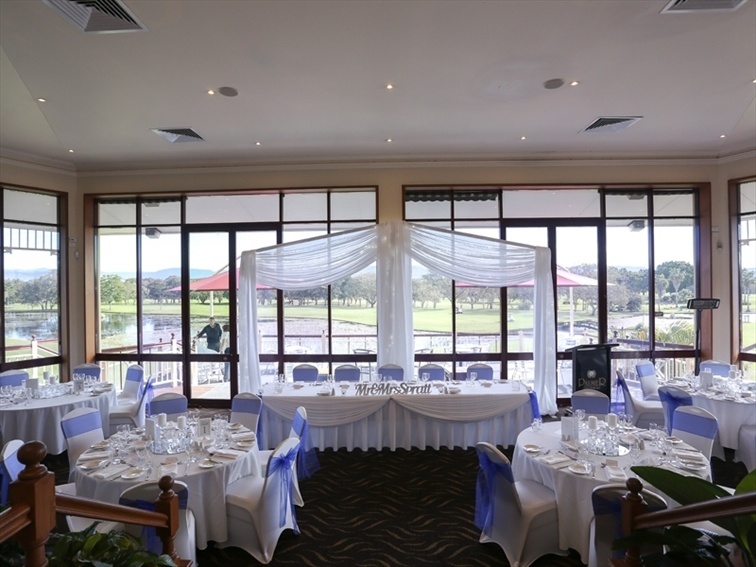 The Fairway Room on the first floor provides magnificent views over the surrounding bushland, lakes and fairways of this world class golf course. 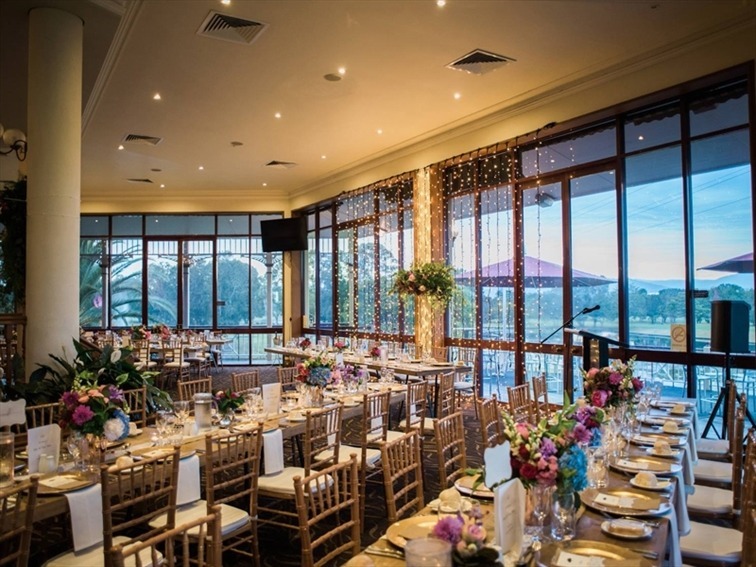 The Fairway Room boasts a private cocktail bar and sweeping verandah for the exclusive use of you and your guests. The Lakeview Room is located downstairs adjacent to the Bistro Club Lounge. The room is split level offering an intimate top level dining experience with the lower level built over the lake providing superb views of the rainforest. Wtih a seating capacity of 40 guests, the Lakeview Room is ideal for smaller, intimate weddings. 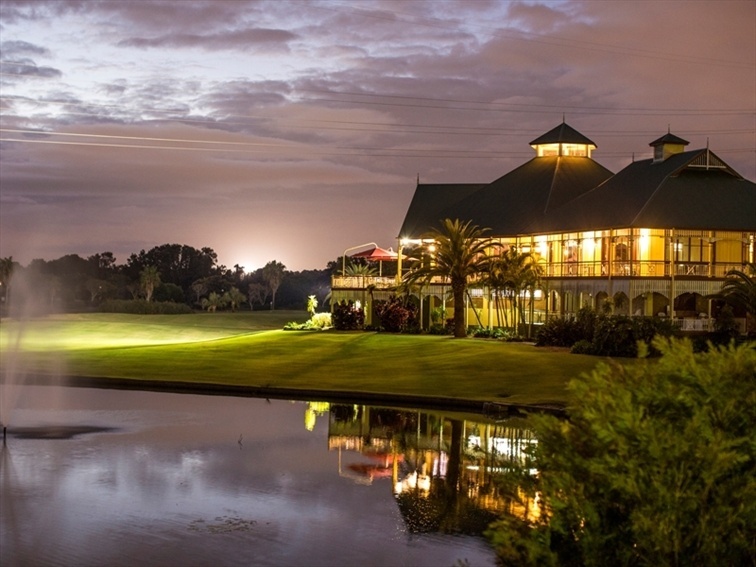 The Terrace Lounge, with its floor to ceiling windows, has its own large deck overlooking the golf course & hinterland. It boasts its own bar area & split level dining & dancing areas. It is the ideal place to enjoy a fabulous dinner & then dance the night away at your truly memorable wedding reception . 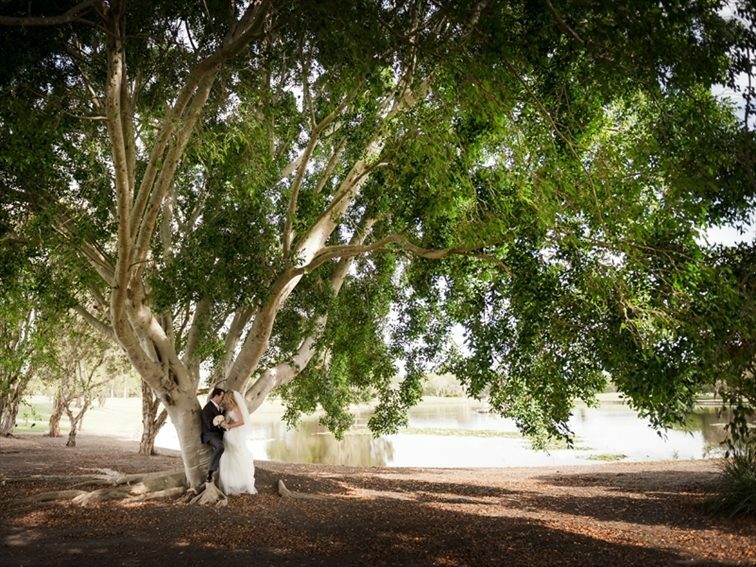 Palmer Gold Coast offers Wedding packages commencing from $89.00 per person with the option of plated meal or buffet. All wedding packages are for a minimum of 60 guests. 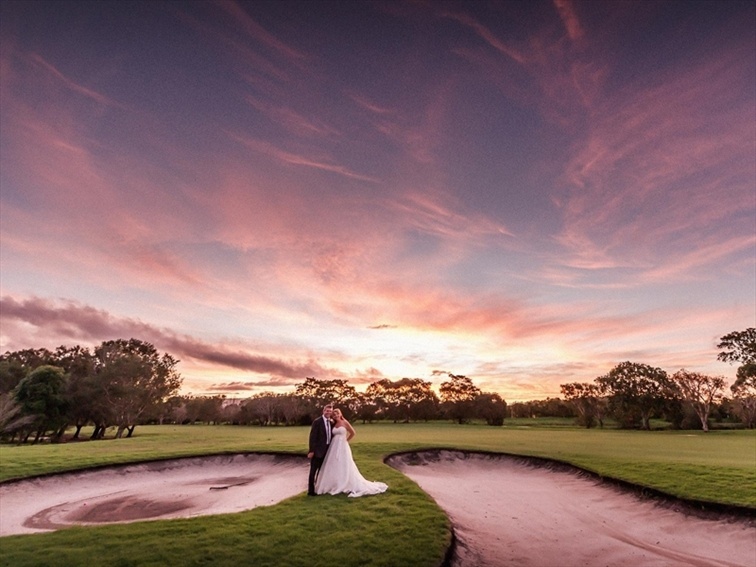 Please enquire with our wedding coordinator for weddings less than 60 guests. Traditional 2 Course Menu with Champagne toast for speeches. Your wedding cake as dessert - plated and served with fresh cream & berry coulis. Served with freshly brewed tea, coffee and chocolates – buffet style. Buffet Menu with Champagne toast for speeches. Traditional 3 course plated menu.